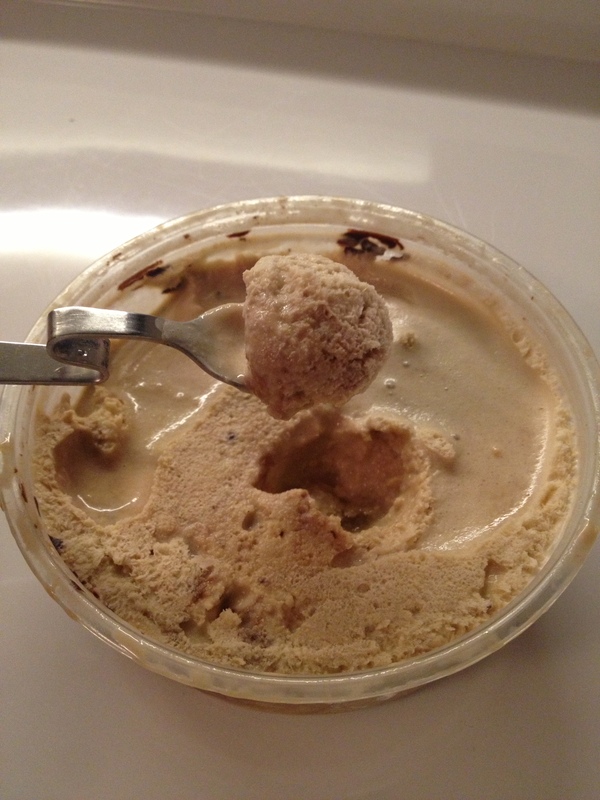 Review: Tipsy Scoop – Boozy Ice Cream! My husband always says to me (in horror & shock) “You haven’t met an ice cream you don’t like!” And on our recent trip to Japan, neither the country’s explosion of wild flavors (think wasabi, cherry blossom, roasted tea, etc.) nor my ravenous search to seek out and try them all – sometimes twice a day- did anything to prove the contrary. So you can imagine my pure delight when I received an email from Melissa Tavss, founder & CEO of Tipsy Scoop, asking if I’d like to give one of her booze-infused ice creams a try! (Clearly we had never met as anyone in my existing circle of friends wouldn’t have asked and just dropped off a sample instead). But as I skimmed her list of Valentine’s Day flavors, it looked like the offer got even better for there, in black and white, was tipsy whisky ice cream. I quickly responded and asked specifically if it would be okay to try the “Deep Dark Chocolate Depression & Salted Caramel Whiskey Tears” (did I need to record a Lifetime movie to go along with this!?). Being made & sold in NYC, she delivered my sample in no time at all and it was time to get down to tasting business! The sample was delivered in the early afternoon packed nicely in a cute Tipsy Scoop cloth insulator bag à la 90’s lunch-bag style, 2 postcards & a very large, flexible ice pack – all of which went directly into my freezer, postcards and all. 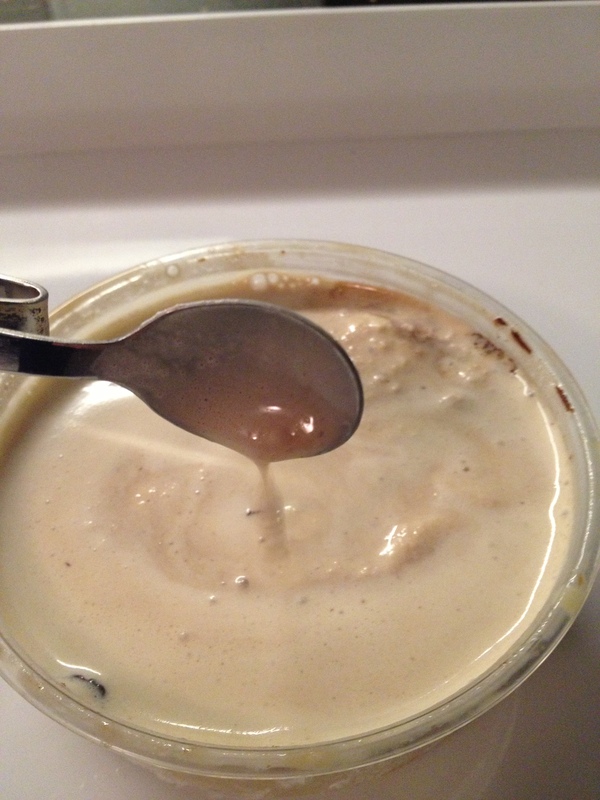 On the rare occasion, my husband and I will pull out our at-home ice cream maker and whip up a batch of something fun – learning early on that a couple of tablespoons of hard liquor will keep the desert from fully freezing and thus, making a more elegant, creamy and easy-to-scoop texture. One of our favorite combos has always been grapefruit sorbet with Campari – yum! Knowing that my at-home version yields nice texture and a hint of flavor (and I don’t remember ever feeling the effects of the alcohol), I was curious to see how Tipsy Scoop would balance the non-freezing aspect of the booze with the bigger-then-a-hint of its flavor. TASTE: creamy vanilla, a hint of caramel, chocolate … with a kick! Holy moley, it tasted like Frozen Bailey’s (which makes sense; whisky + chocolate + cream … it’s kinda their thing!). 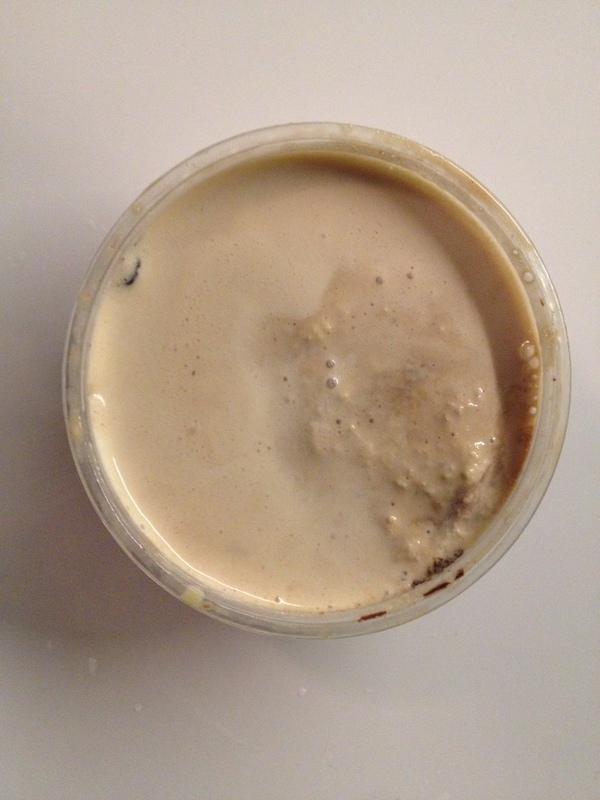 TEXTURE: The soup-debacle aside, the ice cream itself had a nice texture but not as silky as I might have liked. 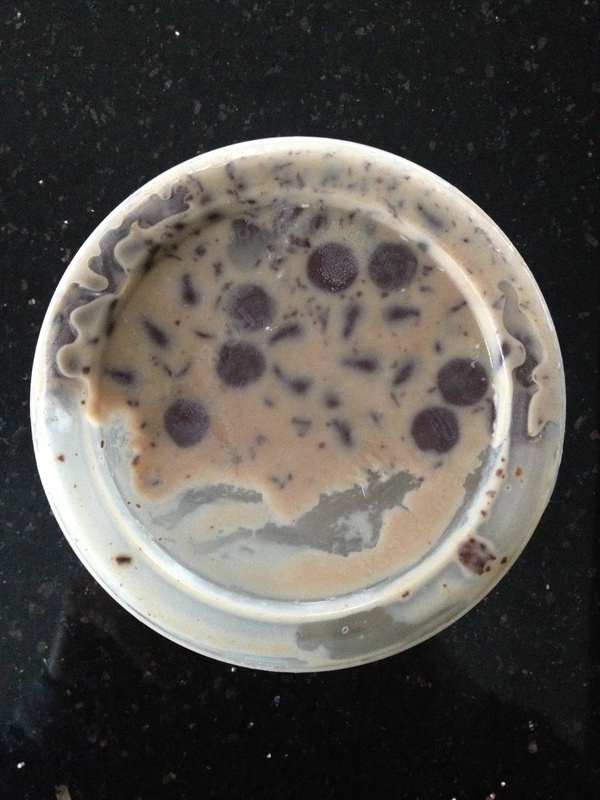 It melted quickly (due to the high alcohol content) causing all of the chocolate bits to fall to the bottom. I prefer having chewable things in my ice cream (chocolate chips, nuts, etc) but it’s key that they are scattered evenly throughout the layers. 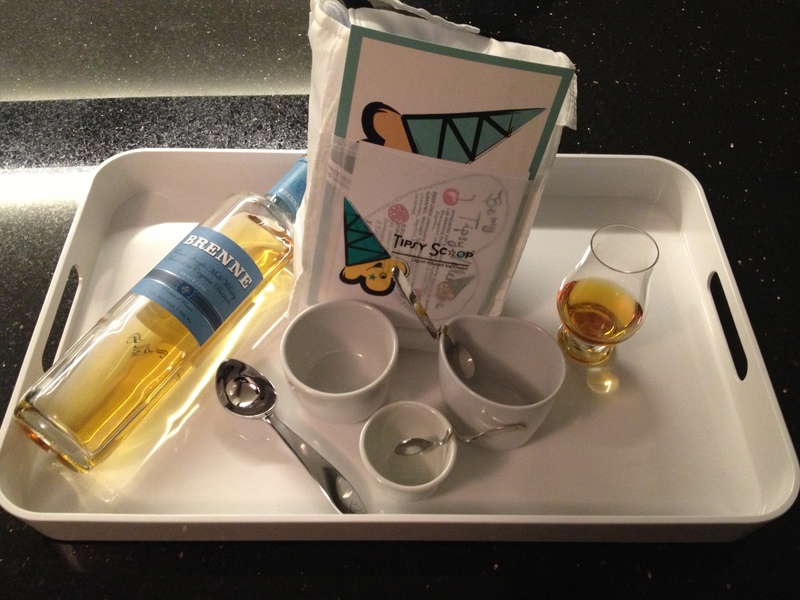 WHISKEY: I enjoyed having the whisky folded into the ice cream – Tipsy Scoop was definitely generous with the booze and it makes for a really fun (albeit adult-only) scoop. Upon further research (okay, more like reading her website while sipping on that glass of Brenne waiting for my sample to firm up), I learned that she has a family heritage of ice cream making & shop ownership in Scotland! And it was this wise, 4th generation ice cream designer who brought the cream+sugar together with the water of life. Not. Too. Shabby. SUMMARY: I love the idea, love the creative flavor combinations and the cute packaging. I had a problem with the melting which could have been something that happened to my batch only or perhaps I should have removed the sample from the insulated bag & ice pack it was delivered with and just stored it in my freezer by itself. I do think this makes for an awesome Valentine’s Day experience and while $45 for 3 pints of ice cream seems quite high for ice cream – if (for New Yorkers especially) you think that it equals $15/pint which we readily spend on a single cocktail – it may be justifiable for a special occasion. 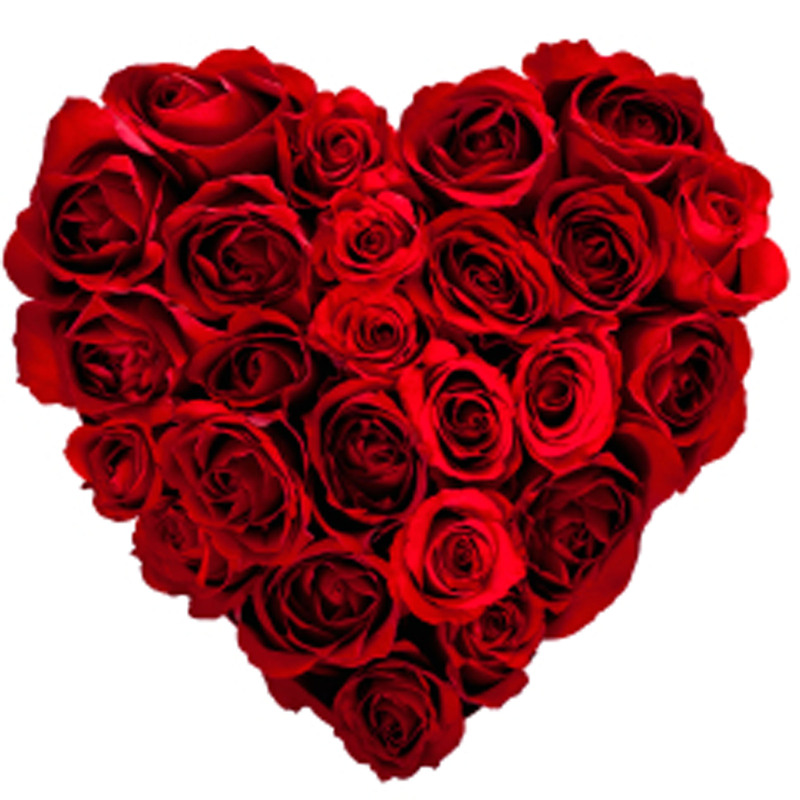 Wishing you all the happiest of Valentine’s Days .. for those of you not in New York City (and thus unable to get a Tipsy Scoop delivery at this time), perhaps you’ll whip up your own versions for the big day of love? I would think that a little whisky mixed into the ice cream with a little more poured on top at time of consumption (á la affogato style) would be quite dreamy! Share your booze+ice cream combos below! 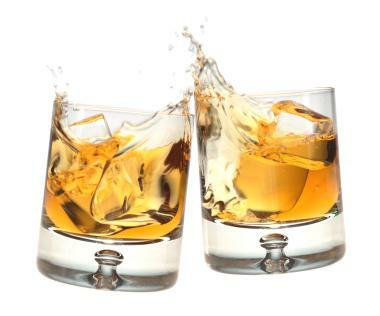 You are currently viewing the archives for February, 2014 at The Whisky Woman.